When you’re not feeling your best, tasks that used to be easy such as taking a bath, making a healthy meal, or doing laundry become more difficult. Struggling alone with these activities of daily living can be frustrating and can increase the risk of accidents. At Homewatch CareGivers Northshore we provide your loved one needed home care services to keep them safe and independent. We offer a wide range of in-home care services,senior and elder care services, Alzheimer’s and dementia care and other in-home health care services tailored to meet the unique needs of each individual we serve. 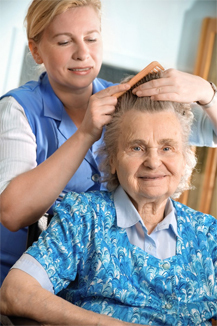 We are available 24 hours a day, 7 days a week and can offer you customized quality home care services. 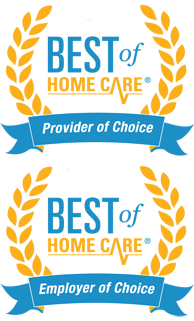 We work closely with clients and families to create an individualized care plans that promotes service and value. At Homewatch CareGivers Northshore we specialize in providing you with the Best Home Care Professionals in Lake Forest Illinois. The first step to finding the Best Lake Forest IL Home Care agency is to determine the level of care that is needed. To learn more about the comprehensive in-home care services, senior and elder care services, Alzheimer’s & dementia care, as well as home health care services we provide to Lake Forest IL area residents and to see what level of care you or your loved one may need please contact us at (847) 616-5600 or CLICK HERE to schedule a FREE – NO OBLIGATION HOME CARE ASSESSMENT. 100 E. Old Mill Rd.